Tags: Air pollution, asthma, badhealth, children's health, exercise, fitness, Health and Wellness, inactive lifestyle, lifestyle habits, lung disease, obesity, physical activity, preventable diseases, sedentary lifestyle. (Natural News) An inactive lifestyle has many negative effects, including serious chronic diseases. A study published in the American Journal of Physiology-Lung Cellular and Molecular Physiology added one more ailment to the list – environmentally induced asthma. The study was authored by researchers from the U.S. Environmental Protection Agency (EPA). They compared markers for chronic disease between inactive and active rats after the animals were exposed to air pollution. To conduct their research, they divided young rats into either an active or sedentary group. The active group was given a running wheel, while the sedentary group was not. Over the course of a seven-week observation period, the animals in the active group were free to exercise as often as they liked. In the absence of anything else to do, those in the other group lived idle lives and were limited to usual activities like eating and sleeping. After the observation period, the researchers examined whether the rats’ level of activity offered any protection from air pollution. They exposed the rodents to either filtered air or three varying concentrations of pollutant ozone for 10 hours over two days. Because ozone is known for causing respiratory damage, the researchers evaluated the rats’ bronchial fluid for any sign of infection. They also analyzed several markers, such as breathing frequency and volume, as well as glucose tolerance. Not surprisingly, bronchial fluid from all animals showed an increase in white blood cell numbers, clear evidence of either an infection, allergy, or inflammation. Compared to those in the active group, however, the boost was more pronounced in the sedentary group. When they examined the animals’ glucose tolerance, the researchers noted the same results. Both active and sedentary rats experienced higher glucose levels, but the change was sharper in the latter group and took a longer time to stabilize following a glucose challenge. 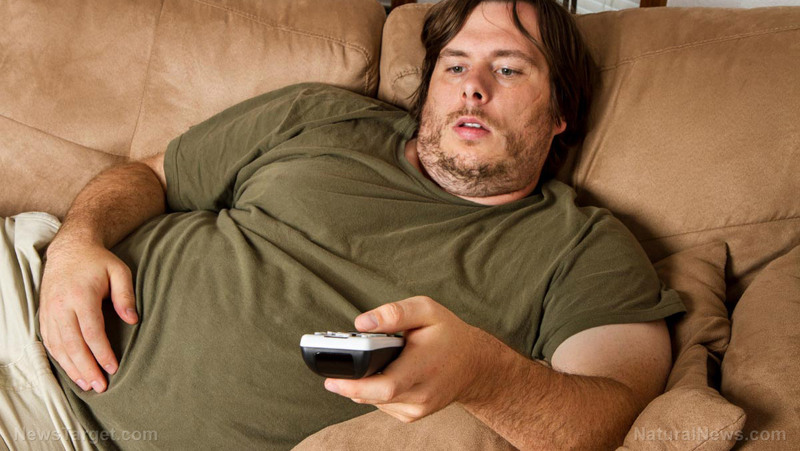 The research examined the effects of a sedentary lifestyle starting from when rats were weaned until their adulthood. Therefore, it also offered a good picture of the impact of an inactive childhood on human adults. The World Health Organization recommends at least an hour of moderate to vigorous physical activity every day for people aged five to 17 years. These could include exercise, play, chores, or community activities. However, a study published in Preventive Medicine found that young people these days are just as sedentary as seniors. The authors found that physical activity usually declines after the age of 35 as people begin to focus more on professional and family-related demands. This slowdown continues until the senior years when chronic conditions begin to hold individuals back. What researchers found surprising was the discovery that younger people are not as active as they were previously thought to be. In fact, 19-year-olds spend as much active time as individuals who are 60. Among both children and teenagers, girls were noticeably less active than boys. The lack of activity is attributed to a number of factors, among which is the time spent just sitting down in school. This trend only worsens the already rising rate of obesity in the U.S., with more than a third of the country’s population now considered overweight. Even worse, the number of people looking to lose weight decreases every year. The authors of the study by the EPA hope that their findings would emphasize the significance of encouraging the youth to be more active, not just as a means to improve their health, but also to lower their susceptibility to disease as adults. Get the best stories on how to lose weight and be healthy at Slender.news.